It doesn't matter if you're a seasoned professional or just starting out. You simply can't ignore something that could give you dramatically better results with your fiddle playing, and help you learn faster than you ever thought possible. "A While ago, a student and friend of mine recommended that I get a program called Song Surgeon. As a minimalist and as a skeptic, I don't look for more things to clutter up my computer and my house - and I don't believe everything works as well as I am told it does. I went ahead, I bought it and within just a few hours, I realized the potential it had for my teaching practice. I have 24 students, and every single student, except for four - so 20 of them, now have Song Surgeon...."
Also there was a review of Song Surgeon done on the Banjo Hangout site, which is posted here that you might like to read. Song Surgeon is an audio slow downer and key changer. 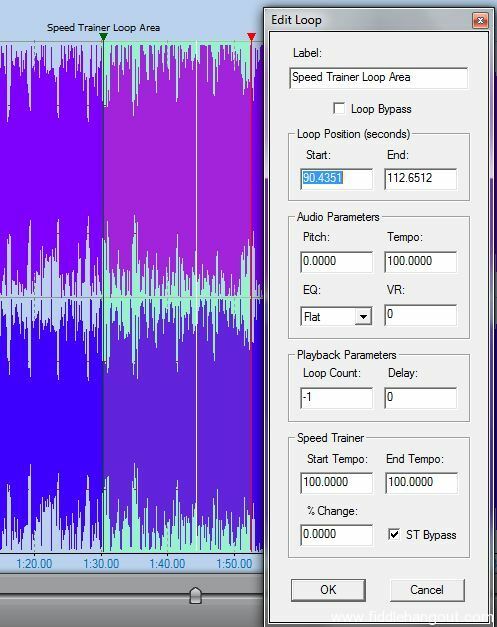 It allows you to open any standard audio file - change the key or tempo - and then export these changes to create a new audio file with these changes made permanently. And, in the brand new Version 5 which was just released, Song Surgeon will calculate the Chords, tempo and key of the song upon opening it, and immediately display this information for you to use. 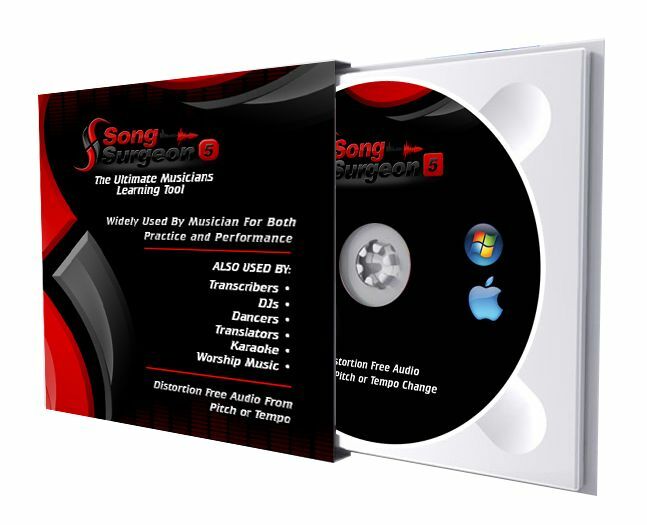 With sound quality that matches and sometimes even surpasses what thousand-dollar studio quality software products can offer, Song Surgeon is indispensable tool that is available at the surprisingly affordable price. 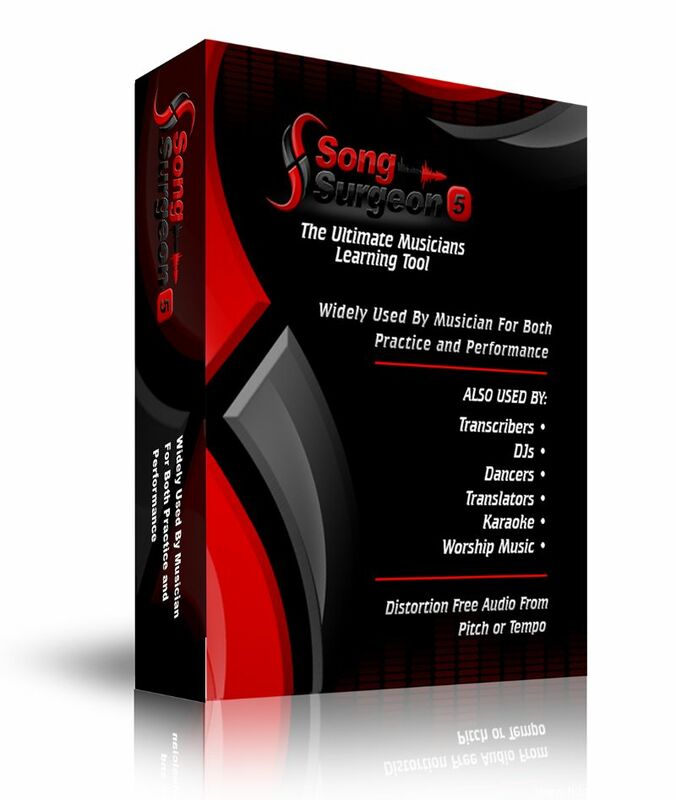 Song Surgeon will have you feeling like you got your money's worth with just a few sessions of use, thanks to its incredible range of functionality and efficiency. Moreover, Song Surgeon does not have a recurring fee. Pay for it once, download and keep it forever! 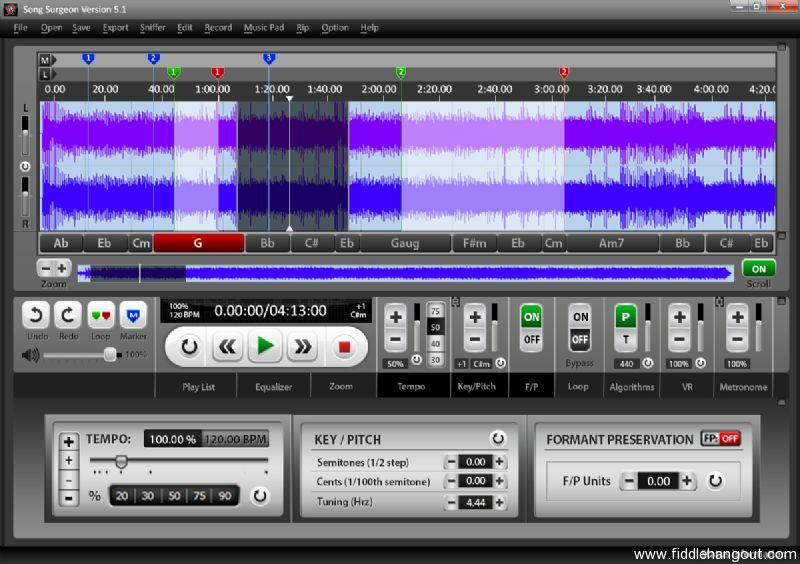 The Pro model has all of these plus many additional features such as the ability to automatically create and insert a 4-beat click track, a metronome synced to the tempo of the song, a 31 band EQ, basic audio editing and recording, and much more. If you're serious about taking your banjo playing to a new level and playing like the pros or, if you're an instructor helping your students learn even faster and easier -- then this is something you just cannot ignore. 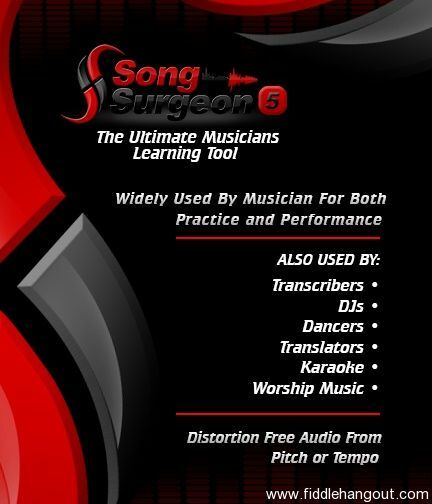 Don't miss out on your chance to grab Song Surgeon at a great price.. but more importantly to have in your toolbox a banjo learning tool that will save you time and have you playing new song material faster than you ever thought possible. We guarantee you'll either love it or get your money back -- no questions asked. We also have an A+ rating by the Better Business Bureau (BBB). 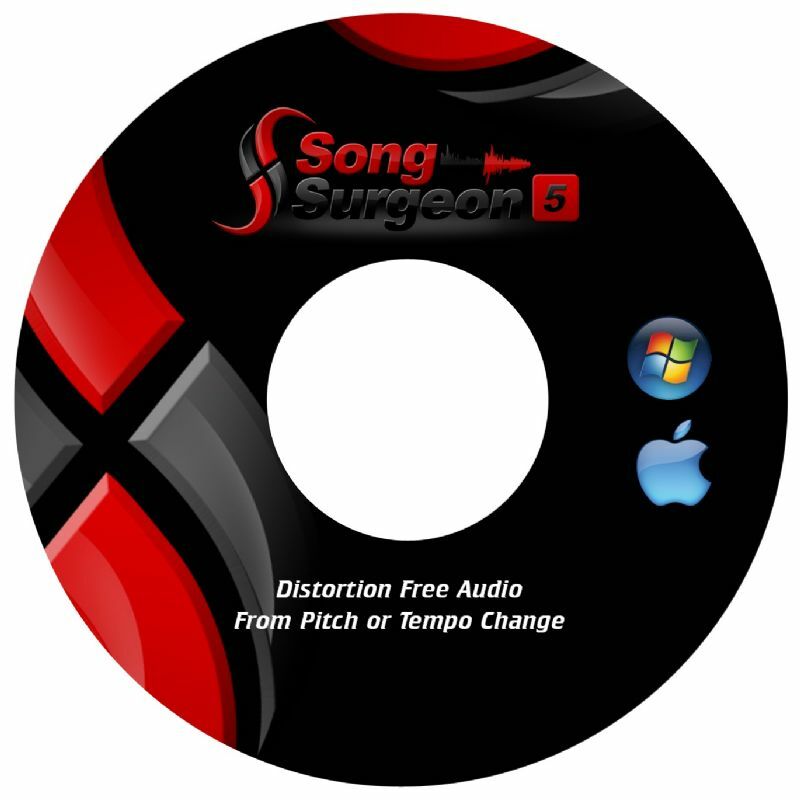 Song Surgeon runs on both Windows and Mac (OSx) machines. Use the order link below to get this special discount available only to Hangout Network Members. Returns accepted. Buyer must contact seller within 60 days to arrange return. Refund will be given as Money Back. Buyer pays return shipping. This ad will automatically expire 5/4/2019 6:33:11 AM unless updated before that date. To keep the system current, ads expire if not updated for more than 60 days.